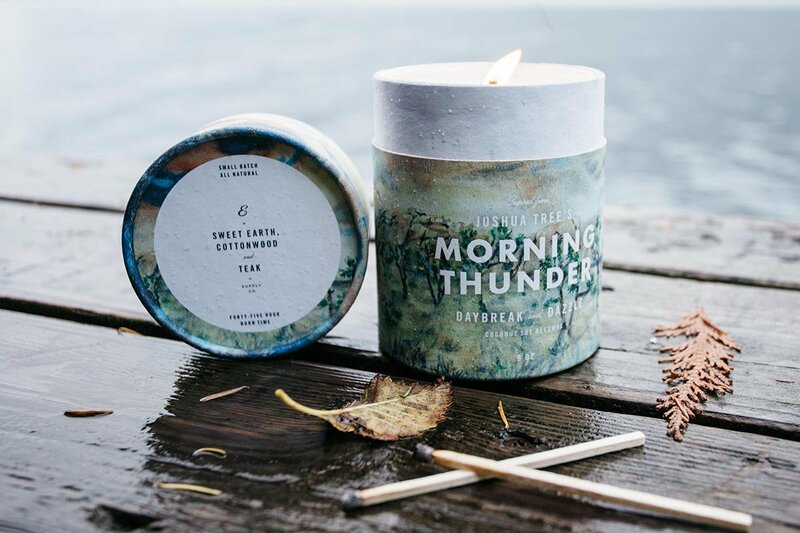 An adventure-inspired candle for your home. Photo courtesy of Ethics Supply Co. The world is divided into two types of people: those who appreciate beautiful scented candles and those who think of them as a colossal waste of money. As part of the former camp, I can justify a high price tag for the joy I derive from the calming ritual of lighting a candle after a long day and the beautiful scent. And because I often buy them on my travels, my collection also reminds me of many memorable trips. Of the candles currently on rotation in my apartment, favorites include an in a striking emerald glass container from Miami boutique The Webster, housed in a white ceramic jar from Parisian ceramists Astier de Villatte, and the English garden-inspired candle from Firmdale Hotels' RikRak line. Next on my list: . Inspired by the desert plains and stately rock formations of one of America's most stunning landscapes, the organic coconut wax candle is infused with intoxicating cottonwood and gilded teak and decorated in a beautiful piece of artwork produced by a local watercolor artist. Reminiscent of a desert thunderstorm, this is the candle I'll be lighting all spring.